A long open time means you can work the finish to create exactly the look you want. A second coat of Nature’s Oil may be applied at any time to maintain a beautiful low luster finish. 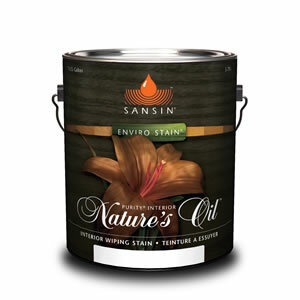 View the Sansin Purity Natures Oil Product Data Sheet (PDF) for information about application, preparation, maintenance, and more.